A flocculation method kit for the detection of reaginas antibodies in serum or plasma. 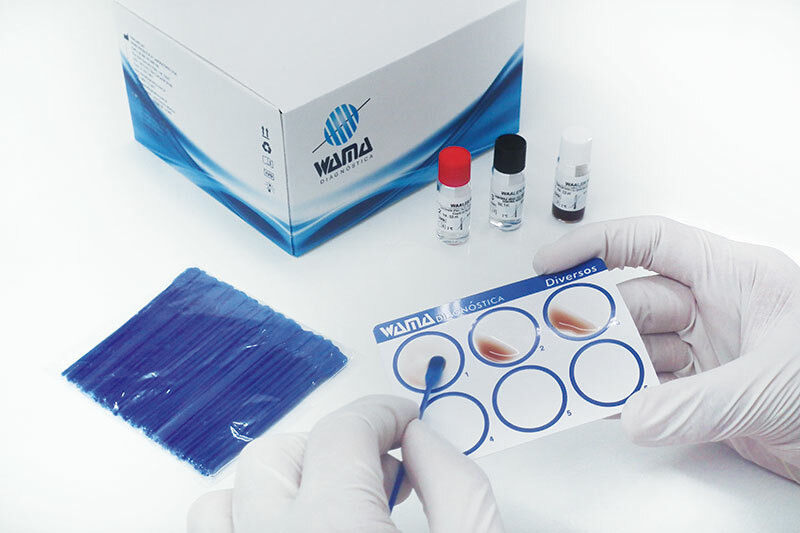 A Flocculation method kit for the detection of antibodies (reagin) in serum, plasma or CSF for syphilis diagnosis. An indirect agglutination kit for the detection of rheumatoid factor in human serum using sheep erythrocytes sensitised with rabbit IgG anti-sheep erythrocytes.